Han Seung-soo, chairman of the Global Green Growth Institute, speaks to The Post in Phnom Penh on Friday. The Ministry of Environment and the Global Green Growth Institute, a Korean-based think tank that assists developing countries in sustainable growth, signed a memorandum of understanding last Thursday, setting the stage for environmentally-conscious projects in the Kingdom. 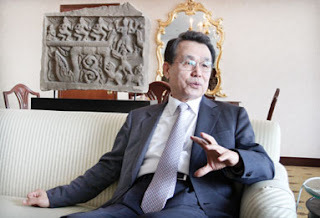 The agreement was signed by Minister of Environment Mok Mareth and the GGGI’s Chairman Han Seung-soo, a former prime minister in South Korea between 2008 and 2009. Cambodia will become the fourth country to work with GGGI, joining Brazil, Ethiopia and Indonesia. Han Seung-soo spoke with The Post last Friday about GGGI and its future plans in Cambodia. Could you tell me a little more about the agreement signed on Thursday? The crisis of climate change has a paradigm growth that is quantity-oriented – heavy fuel-dependent growth. We have to change our growth paradigm from traditional to new: quality-oriented, low-carbon green growth. And Korea is the first country that has been implementing this policy in their government. We’d like to share this information with other countries, particularly ... developing countries. Developed countries have a capacity – finance and technology – but developing countries don’t have a capacity to absorb these new ideas. And the Cambodian government has been very positive with working with us. That’s why I’m here. We have not yet identified the project. We would like to work with Cambodia on these issues that affect them most – they may be Mekong River issues as well as forestry [issues]. I am leaving two of my staff here, and we’ll be working with the Ministry of Environment to look for any way we can further cooperate in the future. When you spoke with the Minister of Environment, as well as Prime Minister Hun Sen, did they mention any specific environmental challenges or areas that they wanted help in? Prime Minister Hun Sen fully knew the problems of climate change that humanity is facing. He was very well-versed, not just as a problem of Cambodia, but as a global issue of climate change. He mentioned, for example, forestry. People, almost 85 percent here, use trees to burn in order to cook in the countryside. You have to protect the forests in order to contain carbon dioxide. According to a study by [the Intergovernmental Panel on Climate Change], about 15 to 20 percent of carbon dioxide is contained in forests. So if you cut trees, then you release carbon dioxide and increase heat. And also water is very important, because those living along the Mekong River are very poor people that are susceptible to floods. To what extent do you think developed countries are responsible for or guilty of the effects of climate change? Developed countries, particularly those that benefited from the industrial revolution, are responsible. In terms of green house gas accumulation, Cambodia is very miniscule. For example, major carbon emissions come from about 10 countries. China produces 20 percent of total emissions; the United States, about 20 percent [also]. Those countries that benefited greatly from the Industrial Revolution ... they’ve made a lot of emissions. Two-thirds of the temperature increase of the past 10,000 years was due to the Industrial Revolution. But each nation has to have a response to this situation. All countries are involved. We are bound to produce a lot of emissions. So at this juncture, the ... former developing countries, the emerging economies and developing countries all have to contribute to ameliorating the issues for the future of humanity. The Cambodian economy is growing at a quick pace. How does a country like Cambodia continue to grow without damaging its environment? That’s exactly what we have to deal with. In the quantitative-growth paradigm, when you grow, you’re bound to have an impact on the environment. In Korea, during the last 30 to 40 years, all the growth proponents argued we had to be “first”, “fast”, “now” and then deal with the environment later. Whereas there are environmentalists that think we should go for slow growth, but it should protect our environment. What you are trying to do is find a [compromise] between growth and sustainability. Finally, what do you hope to accomplish in Cambodia? Well, we have a very good relationship between Korea and Cambodia. And I think that we would like to see Cambodia prosper. 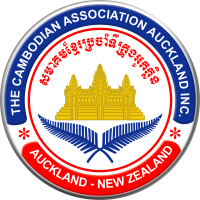 We have a little over US$300 million in trade with Cambodia, but we have direct investments of $3 billion in Cambodia. So we are, I think, the largest investor in Cambodia and I’m glad that Koreans are coming out to Cambodia to invest. Korea has been growing very fast during the last 40 years. We were once very poor, like Cambodia, but we managed to overcome it. We’d like to see Cambodia repeat what we’ve done, but not through the wrong way. I’m interested in helping many countries, but you have to have a good response from them. Cambodia has been very positive; they’ve been very forthright contacting us. For example, the government said they wanted to do what Korea did in [developing legislation on] a new low-carbon framework. They are very willing, and we are willing to work with them.